You can claim your deduction by completing form T1223: Clergy residence deduction. If you were required to use your own residence during the course of your employment, you’ll need to have your employer complete and sign Part B of a paper T1223 form, certifying that you qualify to claim this deduction. If you had more than one employer in the tax year, each employer will need to complete Part B of a separate T1223 form. You won’t have to file the signed T1223 with your tax return, but keep it in case the Canada Revenue Agency (CRA) asks to see it later. Note: If you’re a resident of Québec, you’ll also need to complete the TP-76-V: Residence deduction for a member of the clergy or a religious order form. The amount of deduction you can claim depends on whether your employer provided you with the accommodation or you rented or owned your residence. If your employer provided the residence and/or an allowance for utilities, the value of both is shown as a taxable benefit in box 30 of your T4 slip. You can claim this amount as a deduction on your tax return. 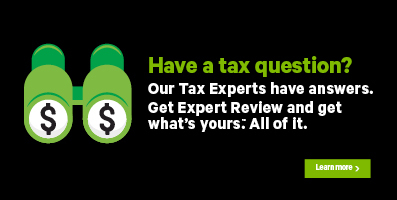 Fortunately, H&R Block’s tax software will automatically claim this amount for you based on the information you enter on the T4 page. Note: In either case, your deduction amount can’t be more than the total employment income you received from the office during the year. If both, you and your spouse or common-law partner are clergy members, each of you should enter the full amount of rent paid or the fair rental value. However, the total deduction claimed can’t be more than one-third of each person’s employment income and the fair rental value of the residence. You will also need to deduct all amounts you or your spouse claimed for this residence. For example, if your spouse had self-employment income, he or she might have claimed work-space-in-the-home expenses. In case both you and your spouse are claiming the deduction, the person with the higher salary should complete this field showing "0", as long as no other deduction is being claimed by this person for the residence except for the clergy residence deduction. The person with the lower salary should then take into consideration the clergy residence deduction claimed by the person with the higher salary, and include any other deduction for the same residence. Before you begin, make sure you’ve entered information from your T4 slip under the QUICK SLIP icon on the QUICK ENTRY tab.